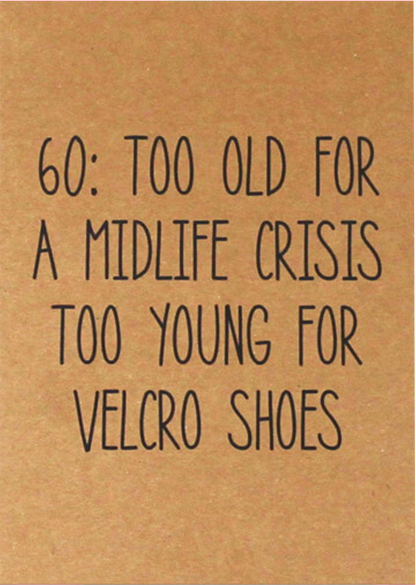 60: too old for a midlife crisis too young for velcro shoes. 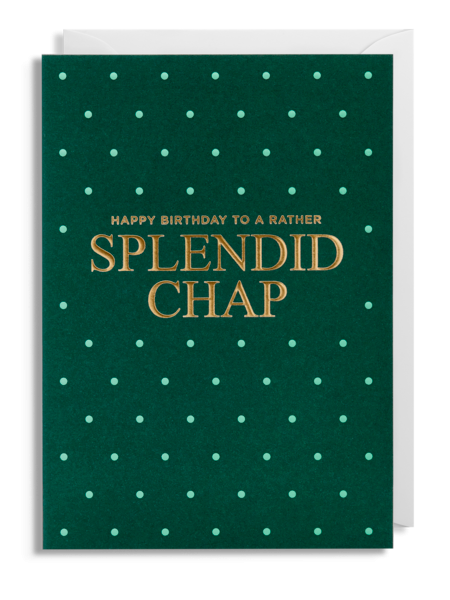 Designed and created by artist Andy Cordina, the Bettie Confetti range tip their hat to the great art of sarcasm. 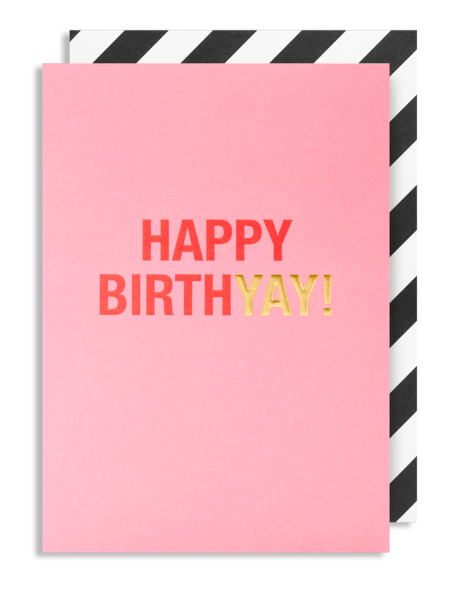 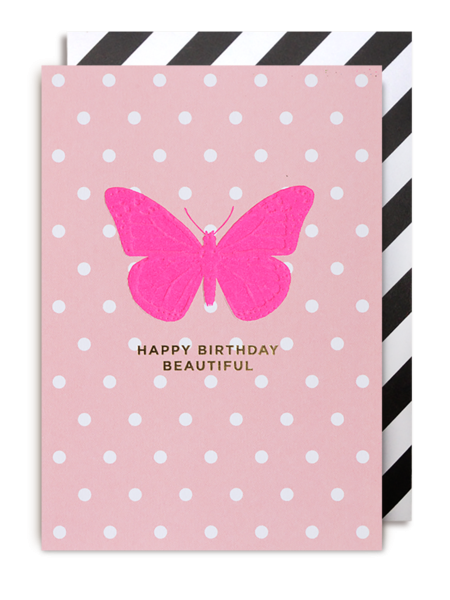 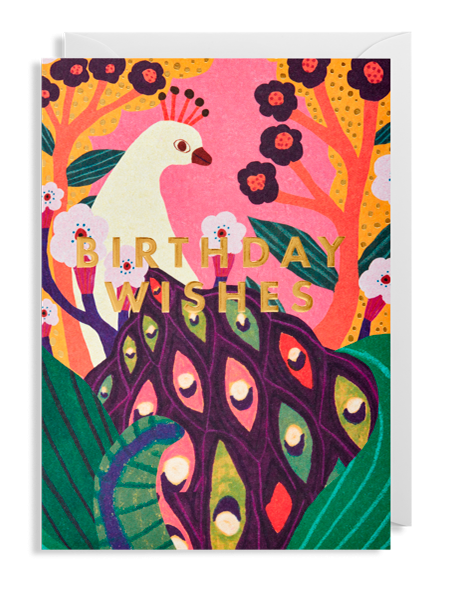 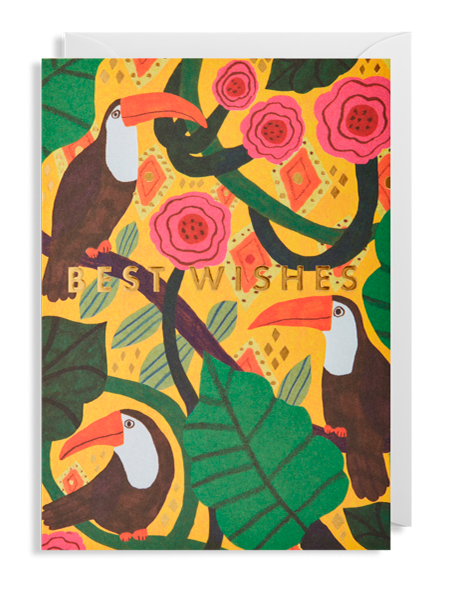 All cards are printed in the UK on Kraft Card.